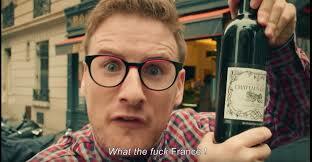 The series depicts Paul’s difficulty to grasp French codes and he certainly does not beat about the bush! But just as we liked Stephen Clarke’s hilarious A year in the Merde, we can laugh with Paul and recognize our quirks and idiosyncrasies!! Allez, another one, “juste pour le plaisir”! A special thanks to Audrey from Olive, Banane et Pastèque http://olive-banane-et-pasteque.com/ for the cool recommendation! C’est surtout Alex qu’il faut remercier ! Super article ! !